I had those white/black borders issue as well. I managed to get rid of it, but Im not sure if it can be applyed to your sprites. Because my art in a 1st phase is very high res (original x 16) I do my work on this highres sprite and than convert it to a half resolution and I use bilinear resize algo. That creates soft edges of the sprite, and those soft edges blend in the game without the white outlines. Also, I discussed it with Interkarma before, and he made a tutorial for me, with a working method to get rid of the issue. Thanks God I did not have to use it, because it takes time and I had 1000s of sprites to apply it to - impossible. Thank you too! 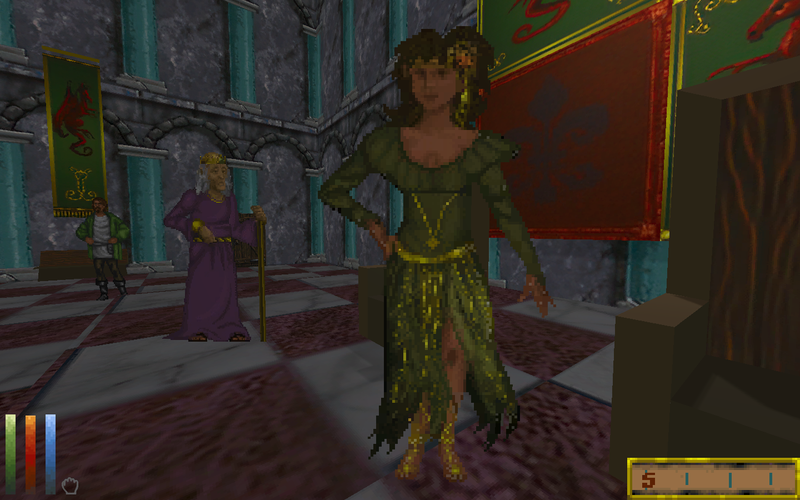 Well, this picture just from UESP, I knew it's something wrong with it due to how pixels look. Looks like someone upscaled it wrong way and lost aspect ratio. It's not first time I see such things on wikia sites. No problem, but maybe I'm wrong since the game isn't made to work on widescreen (?). [...] my art in a 1st phase is very high res (original x 16) I do my work on this highres sprite and than convert it to a half resolution and I use bilinear resize algo. You´re using Waifu2x + XBR right? I do not know exactly the correct size (since the game was made for a 4: 3 resolution I have doubts about all the graphics. ), but I think it's fine. I kind of confused, so much text and posts, what I need to do again? Sorry for big images, spoilers for some reason don't want to work with imgur, or for other reason I can't quess. And this I hope not final versions of sprites, I don't like king's nose, some colors, some details, probably will change bottom part of lady. Dunno, for some reason for me they still feels like they kind of out of place. "You´re using Waifu2x + XBR right?" For sprites, waifu did not work good. I use XBR4x with two passes, so thats efectively 16x the resolution of original. 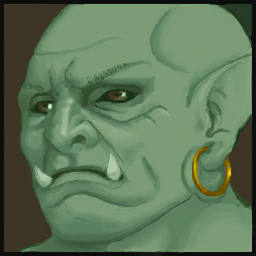 That portrait of a Ork is indeed very nice! So in upscaling texture thread I seen this picture, and questioned myself, what if daggerfall had blocks that will look more like actual cities, rather than just placement of same 1-2 floor flat houses on flat floor? And there made little test with house based on vanill a one, but with more detail and make it look more like actual medival house. What do you think? If idea looks nice, I can made test city block in style of more dence medival city, but more or less in original game style. This would be fascinating to see executed in-game! Just to manage expectations though, there are serious engineering challenges related to this. Door positions are read from classic game data. Besides replacing a model, it would need code support to match new buildings to interior records via relocated door positions. If there is a different number of buildings in replacement block to classic block, then new interiors will need to be generated and made available somehow. 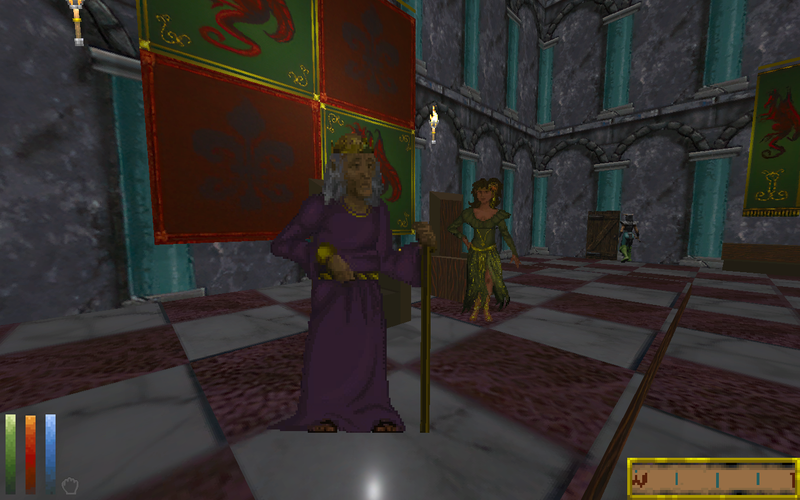 This is a big one: the quest system needs ways of knowing how to host quests in buildings. There's a very specific data format and discovery process for assigning quest sites that is deeply coupled to classic data. Likewise need support for building discovery and name generation, faction information, etc. Basically all the back-end wiring related to buildings. 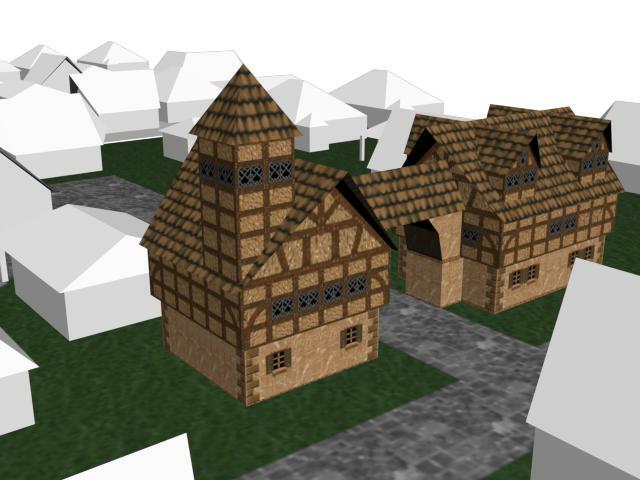 Some LOD support would also be ideal for higher-density town environments, and perhaps some occlusion culling as well. That adds more complexity to the process too, but it's not going to be as big a challenge as those above. As modable as DFU is, there are some structures that span so many other systems that change is difficult. Creating a generic solution for this while still running game from classic data raises a lot of problems as well. At some point, it becomes easier just to build a whole new game with different design goals. And then someone will help me port it in game, since I thought it will be same easy as in Morrowind editor - just attach "door teleport" exit, add to this buildings flag "general residence", then replace RESILAA00 block with this and then Allez hop! and your new block in game. Looks like it harder. Yeah, the way DF does this annoyingly difficult. And to make matters worse, the quest system uses simplified building data in MAPS.BSA in addition to full data in BLOCKS.BSA. And to make them even worse, the data doesn't always match between simplified and actual datasets (e.g. different building counts, types). I had a terrible time pulling all this together again in a different engine while building the quest system. I was grateful just to get it working considering I didn't have any internal specs or source code to work from. Morrowind is such a huge evolution over Daggerfall in many ways, and this definitely sounds like one of those cases. Maybe you should make that clear in the mission statement. When I read that modding support is still just basic and saw rolling hills with grass already replacing generic nondescript wilderness, I got a completely different impression than what I'm reading now. 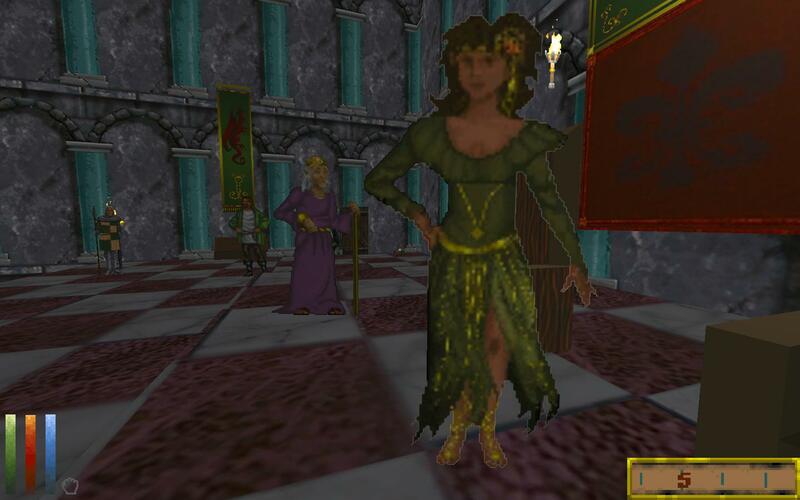 I'm already playing original Daggerfall in DOSBox and I'm happy with it. Just playing the exact same with polish isn't worth the effort. Godspeed and bye, I guess.